The SEC was created to police Wall Street under the Securities Exchange Act of 1934. The legislation came on the heels of the U.S. Senate holding three years of hearings that showed Wall Street to be a cesspool of opaque self dealing and collusion that had led to the 1929 stock market collapse and ensuing Great Depression. The SEC has now had 83 years to hone its investigative skills and techniques. And yet, it wore blinders in the runup to the epic Wall Street crash of 2007-2009, which was caused by the same type of corruption that was ferreted out by the U.S. Senate after the 1929 crash. Its blinders remain securely in place. Further enshrining opacity and corruption on Wall Street is that the SEC has failed miserably in using its bully pulpit to end Wall Street’s private justice system. This journey into judicial darkness began in the 1980s. After tens of millions of dollars were spent by Wall Street and its lobbyists, the U.S. Supreme Court gave a green light to the practice in its 1987 decision, Shearson/American Express v. McMahon. Since then, cases filed against Wall Street firms by both customers and workers, which could serve as an early warning system to patterns of fraud if aired in a courtroom open to the public and press, have been moved into the dark shadows of a private justice system that claimants believe is rigged against them. And, finally, if the SEC was genuinely serious about aiding the case of transparency, why was it shredding all of its investigative files until one of its own attorneys had to blow the whistle? In 2011, SEC Attorney Darcy Flynn explained to Congressional investigators and the SEC Inspector General that for at least 18 years, the SEC had been shredding documents and emails related to its investigations — documents that the law required it to keep. Flynn told investigators that by purging these files, it impaired the SEC’s ability to see the connections between related frauds. 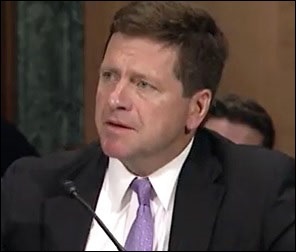 Altruistic speeches notwithstanding, the SEC remains a captured regulator and the public continues to be fleeced by Wall Street’s institutionalized wealth transfer system as a result.